Many of you may have noticed a few popular news sites mentioning plankton (see the New Yorker and Time magazine for some examples). These are popping up everywhere because of a new special issue of Science magazine including 5 research articles relating to an unprecedented global study of marine plankton biodiversity. 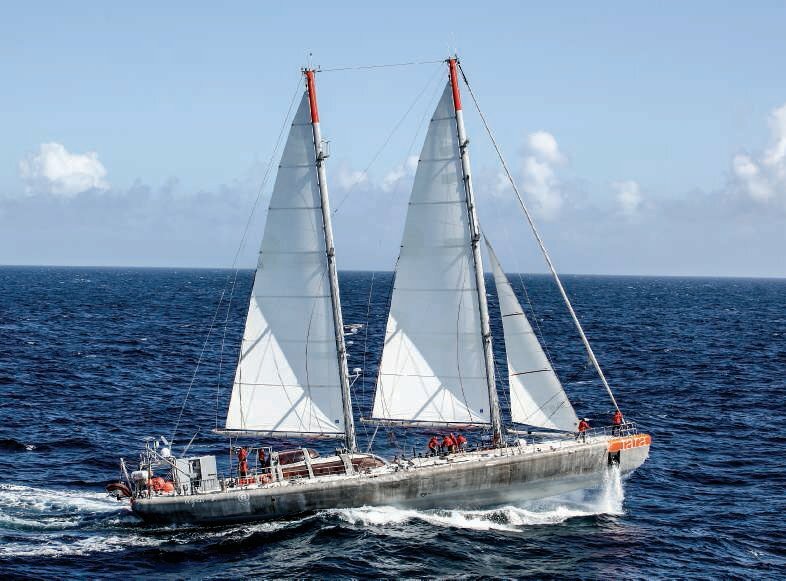 The issue has scientific publications resulting from a four year study aboard the research schooner Tara, in which 210 sites were sampled in all major oceanic regions. The sampling primarily focused on the upper 200 m (the euphotic zone) where most plankton biomass is concentrated. They also used satellite imagery, which can detect circulation features and temperature changes often associated with eddies and fronts. These small scale features are considered “hotspots” of biological activity, so understanding the biodiversity in these areas is particularly interesting to scientists. There are two main reasons why these studies are garnering so much attention. First, the studies shed light onto the unknown genetic diversity in the microbial and viral ocean communities through the use of genome sequencing and analysis technology. These microbial communities are the workhorses in the ocean, and understanding what causes microbial communities to change can help us better understand ocean ecosystem productivity and various components of carbon and nitrogen cycling. The viruses and microbes can also interact in complex ways to affect microbial community composition. The second major contribution is simply the impressive global extent of the study, which required international collaboration. Because of the spatial coverage of the study, the gene reference catalog and census of marine biodiversity across planktonic organisms will be useful for researchers all over the world. This highlights the importance of international and cross-disciplinary collaboration to study something as big and complex as the ocean. Most of the zooplankton we have examined on this site (with the imaging system) has been what scientists call “mesozooplankton” – typically 500 microns to several centimeters in size. The Tara expedition made major contributions to our understanding of much smaller organisms, but it is important to remember that all of the ocean organisms are interconnected, and scientists are just scratching the surface of understanding these interactions and how they could affect everything from fisheries to global climate. It is an exciting time for any researcher when his or her study topic is featured in a journal as widely read as Science!